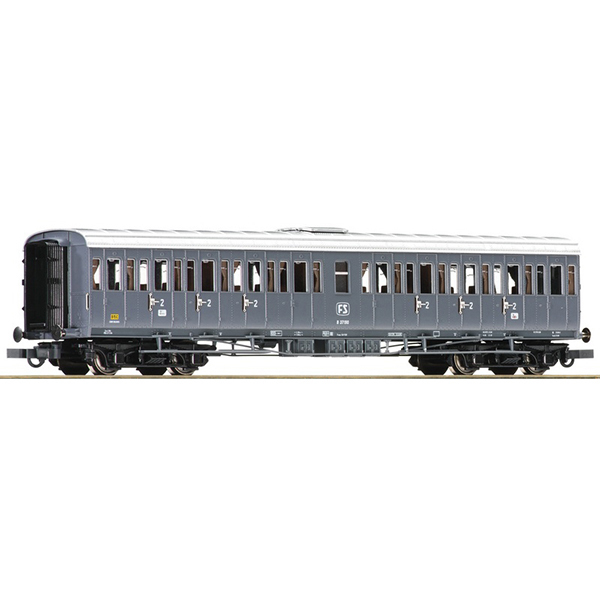 This is the 2nd class passenger carriage of the Italian State Railways from Roco. Model Description: Model with interior design and equipped ready to install interior lighting. Coupler pocket according to NEM 362 standards and close coupling mechanism.